Innstra is a global, end-to-end IT consulting organization. Our complete array of solutions enables organizations, big and small, compete in today’s fiercely competitive markets, and win through effective utilization of their already strained resource base. Innstra envisages a seamless integration of technology and business in its solutions – from strategic planning to supporting implementation and management of technology solutions. Into every customer relationship, we bring unmatched commitment and back it up with initiatives that deliver results. 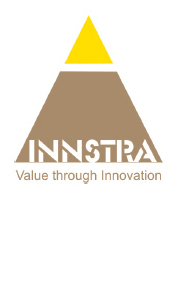 Innstra, as the name suggests, stands for “Innovation with a strategic vision.” We are focused on enabling innovation that is well directed towards realization of our customers’ long-term objectives. We look for opportunities to apply innovation in our day-to-day operations as well as long-term plans. Our mission is to create value through innovation. We believe in achieving customer delight through a single-minded pursuit of delivering superior value. In whatever the situation our customers are faced with, we will stand shoulder to shoulder and address their challenges with shared responsibility and help them succeed by creating measurable and higher value. We believe in winning together. We may start a relationship in a small way. But we are keen to make a difference and move up. Every challenge our customers face, is indeed an opportunity for us! To seamlessly scale up our solution capability, we bring to the benefit of our customers a unique talent networking model, through which we are able to acquire on tap the expertise of over 1500 professionals across technologies, domains and levels. 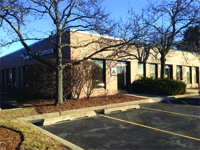 In our competency center, we offer proof of concept for assurance of various solution areas. Here, we conduct functionality and interoperability assurance for our customers. We also use it as a training lab to enable hands-on skills development for our people.